Blackburn Rovers midfielder Steven N’Zonzi has emerged as a shock January transfer target for Chelsea, with manager Andre Villas-Boas reportedly identifying the player as an alternative to Everton’s Jack Rodwell. 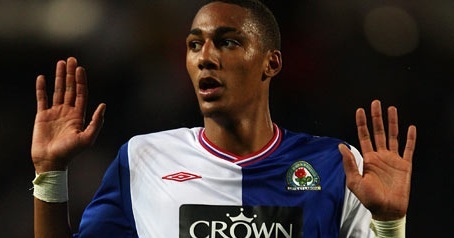 According to reports, Villas-Boas sees N’Zonzi as the type of player to add a much needed physical presence to Chelsea’s midfield and with Everton seemingly pricing out a move for Rodwell, Chelsea are now turning their attention to the 23 year old Blackburn player. It looks like it could be an unhappy New Year for Blackburn fans as their owners Venzy’s seem to be in the process of initiating a fire sale of their top players, as they strive to reduce the financial overheads of the club.